Originally published 7/9/15 on GetOutAZ. ‘The drinking, the bulimia, or the drugs — and nobody stopped it,” said Amy director Asif Kapadia in an interview with The Guardian. There isn’t a better way to sum up the gut-wrenching documentary about jazz sensation Amy Winehouse. Watching the spiraling demise of the unbelievably talented singer/songwriter is painful. The femme fatale contralto burst onto the music scene with the same skyrocketing success of the biggest names in the industry. And like many rock stars, her light burned out in a flash. 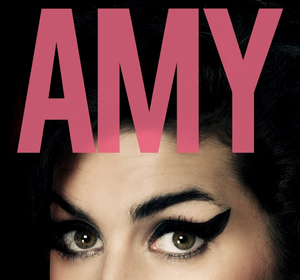 Unlike traditional in-chair interviews seen in most documentaries, Kapadia’s Amy is told through original footage taken by family, Amy’s first manager Nick Shymansky, from paparazzi clips and interview reels. What we’re left with is a raw, unfiltered look into Amy’s life that shows a young woman with all the talent and no guidance. Layered on top are audio clips from interviews with Amy’s best friends, Shymansky, her family and more. Even her bodyguard spoke of what her life was like before the tragic end. Then there is Amy herself, as she speaks to the camera. The documentary doesn’t hold back as it zeroes in on the failures of the Winehouse family, friends, and co-workers — who watched as she fell farther into alcoholism and drugs. But it’s clear that either no one was strong enough to do it (e.g. her mother openly admits to never denying her), or not caring enough. Many people from her father to her friends said she’s an adult and she can handle herself. However, Fielder-Civil is in the same shooting yard as Amy’s father, Mitch Winehouse, and her last manager, Raye Cosbert, and the media at large. No matter what way Amy turned she was enabled by her rock star status, and bombarded by intrusive paparazzi. Even when she tried to escape to the Caribbean she wasn’t free. A couple of fans recognized her and asked for a picture. The emotionally wounded Amy clearly didn’t want to do it, but her father condemns her and coerces her to. While not a huge moment, it boldly underscores that she couldn’t ever escape. While it’s hard to know the full truth of what happened during Amy’s career, it’s clear to see in the footage that she desperately needs help. Even her closest friends end up turning away because they felt helpless in the face of her enablers. While Amy can be written off as just another talent lost to drugs and drinking, Kapadia’s documentary makes it uncomfortably clear that there is something wrong with society at large. It is easy to lay the blame on the past. Yet it was clear to everyone who met Amy that she was something special. Tony Bennett said that she had a gift, and stated that she belonged with the jazz greats, Billie Holiday and Dinah Washington. The documentary seemed to share these sentiments even as it questioned those in her life. While brutal to watch, Amy is arguably one of the better celebrity documentaries to come out in some time. As Joe Coscarelli said in the New York Times, the film lets “nobody off the hook.” Except for Amy herself.